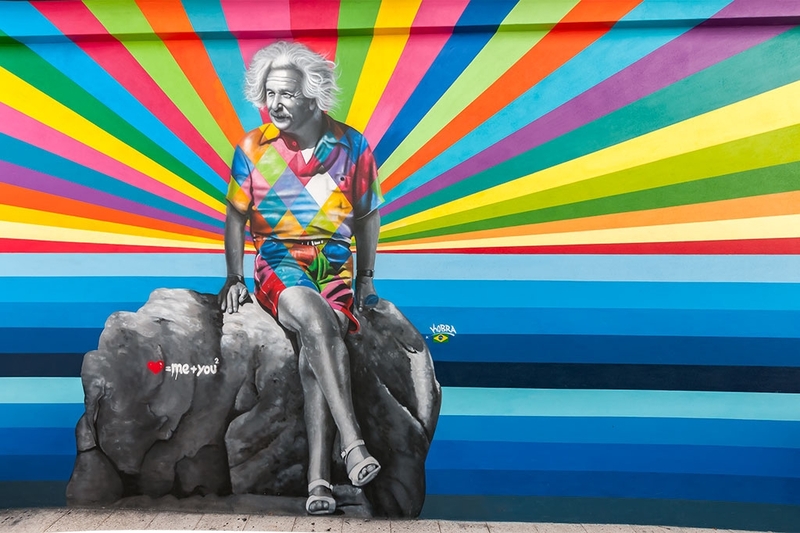 Brazilian artist Eduardo Kobra utilizes bright colors and bold lines while staying true to a kaleidoscope theme throughout his art. The technique of repeating squares and triangles allows him to bring to life the famous people he depicts in his images. This checkered pattern, filled with different textures, lines, and shading, builds up to Eduardo Kobra’s final masterpiece, a larger than life mural for all to see and marvel at. 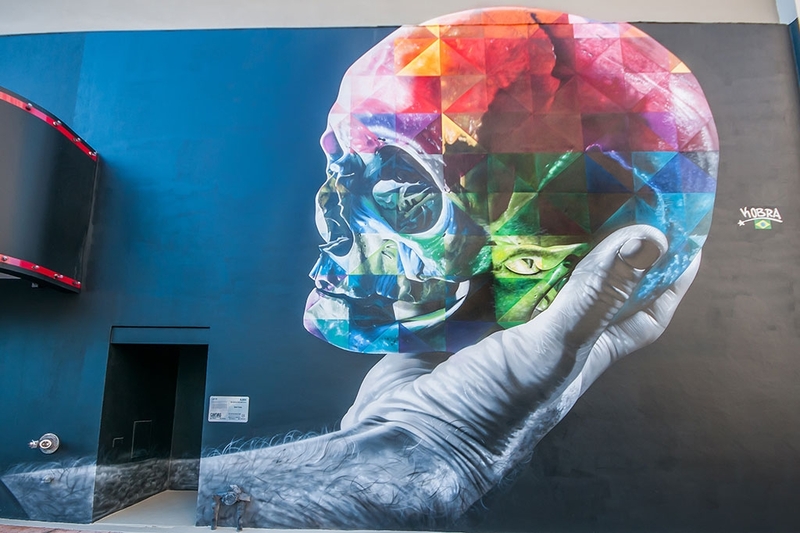 Kobra’s ability to achieve photorealism while maintaining his playful, color theme is fantastic, making for a striking contrast against the setting it is placed in. Specifically, his cunning use of brushes, airbrush, and spray cans serve as a means of bringing to life notable figures from the past, emphasizing their true dignified nature and beauty.